Bakshy, Marlow, Rosenn, Adamic. The Role of Social Networks in Information Diffusion. "At the time of the experiment [8/4/2010 - 10/4/2010] there were approximately 500 million Facebook users logging in at least once a month. 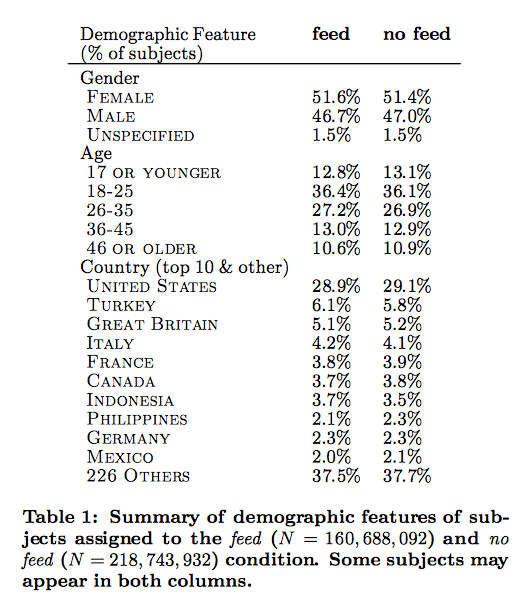 The experimental population consisted from approximately 283 of these users." Information diffusion in social networks: related research articles on Google Scholar.